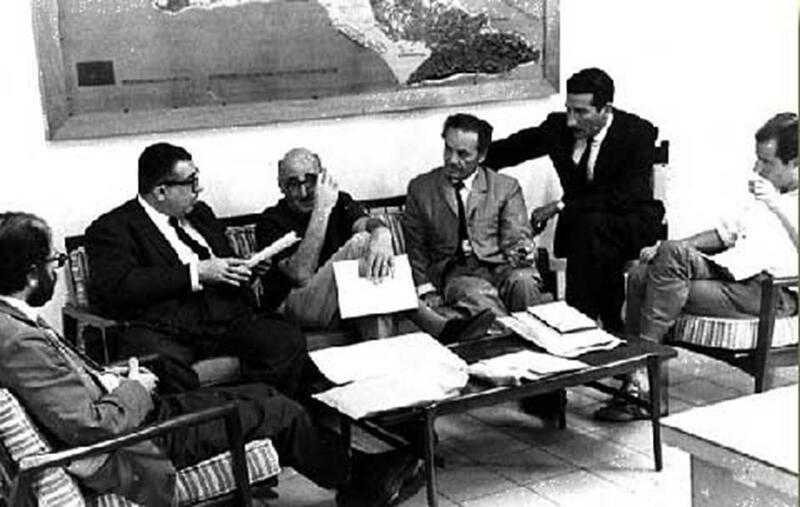 Allen Ginsberg, José Lezama Lima, J. M. Cohen, Nicanor Parra & Jaime Sabines/ the Jury of the Casa de las Américas Poetry Prize of 1965. El Premio Literario Casa de las Américas is a literary award given by the Cuban cultural institution Casa de las Américas (Havana). Established in 1959, it is one of Latin America’s oldest and most prestigious literary prizes. Who was J. M. Cohen? M. (John Michael) Cohen (5 February 1903 – 19 July 1989) was a prolific translator of European and Latin American literatures. His obituary in The Guardian stated that Cohen did: “more than anyone else in his generation to introduce British readers to the classics of world literature by making them available in good modern English translations (20 July 1989)”. Born in London, J. M. Cohen was a graduate of Cambridge University. In addition to teaching young people, he spent the war years teaching himself Spanish and Russian. He launched his translation career with the first English translation of poems by Boris Pasternak (1946), which garnered praise from American poet John Ashbery in his book Other Traditions (2000). Cohen’s translation of Cervantes’s Don Quixote (1950) has been highly praised. Cohen wrote a number of works of literary criticism and biography. He also edited and introduced programmes for the BBC. In addition to his translations of major works of European literature for Penguin, Cohen edited several important anthologies: A History of Western Literature (1956), Poetry of this Age (1959) and The Baroque Lyric (1963). Alongside E. V. Rieu, he edited many of the Penguin Classics. Cohen’s interest in Latin American literature began on a visit to Argentina in 1953 when he first met Jorge Luis Borges. From this time, he was in contact with writers (and books) from these countries. For Nuestra America, the 1960s were the age of literary discovery, a period when the major works of the Latin American Literary Boom were published. Certainly, it launched our literature on to the world stage. J. M. Cohen played a key role in the dissemination of the writers of the Boom by translating many of them: Julio Cortázar, Octavio Paz, José Donoso, and Carlos Fuentes, among many others and by bringing the works of Gabriel García Márquez to the attention of his future English publisher. In Havana, J. M. Cohen was also a member of the Jury of the Casa de las Américas Poetry Prize of 1965 and of the Jury of the Julián del Casal Poetry Prize of 1968, which was won by the Cuban poet and dissident, “the Cuban Pasternak”, Heberto Padilla with his book Fuera del juego. Consequently, Cohen translated pre-Boom writers such as César Vallejo, Gabriela Mistral, Alejo Carpentier, João Guimarães Rosa, Pablo Neruda, Jorge Luis Borges, José Lezama Lima, among many others. Today, all these names sound familiar to everyone, but how did this literature became available? Who translated their works into English? These questions remain a major blind-spot in the bibliography of Latin American and Translation Studies. The proposed bibliography will make a significant contribution to Latin American, Post-colonial, Comparative and Translation Studies. The requirement for the bibliography can be explained by the lack of reliable information and online data regarding J. M. Cohen the man, the anthologist, the literary critic and the translator of classics. The research is based in the first instance on the Cohen Collection, Old Library, Queens’ College, and Cambridge University. This is the type of bibliographical research that goes beyond European subjects, reaching the so-called Third World, bringing its classics, Nobel Prizes in Literature into the UK bibliographical tradition. 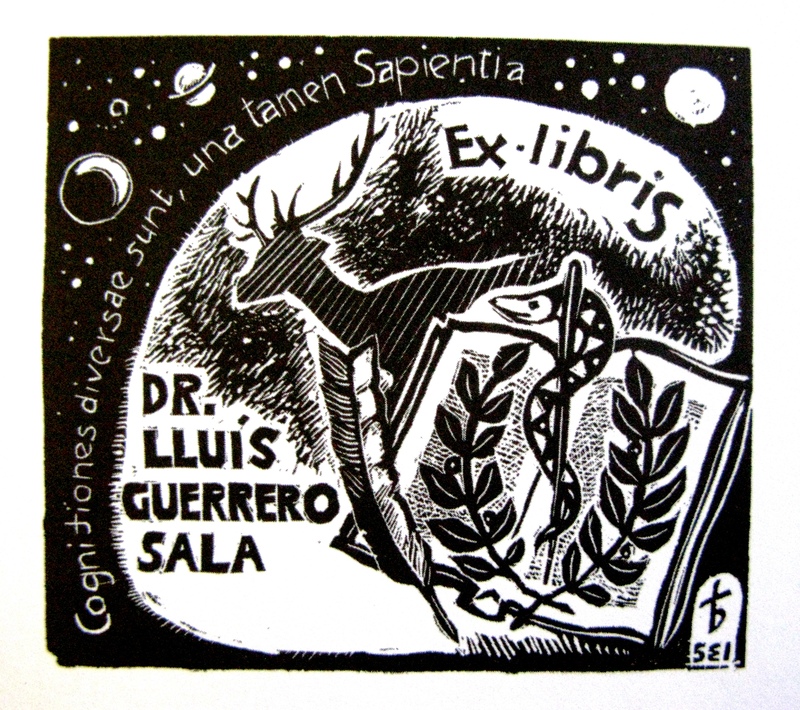 As a reference source for a unique period of time in the history of translation and Latin American studies, the proposed bibliography is expected to be of benefit to women and men of letters in the future. It should be completed within a period of no longer than 12 months. Books certainly define a person’s identity. The present study focuses on the meaning that books and reading have in a life. As we know, Cohen built his collection out of gifts from the authors or purchases he made during visits to Spain and Argentina in the 1950s and to Mexico and Cuba in the 1960s and 1970s. It includes signed copies of works by writers of the first Cuban revolutionary generation and by Latin American women, most of which were previously unrecorded in the West. As a Cuban researcher, established in Britain and currently working as a cataloguer of the Russian collection for UCL- School of Slavonic and East European Studies (SSEES) Library, the Cohen collection has a special appeal. It includes not only an extensive gathering of the pre-Columbian & contemporary Latin American literatures but also of Russian literature; and studies on literary criticism and poetry in general. These highly significant publications are rarely found in British libraries. The present research intends to be the most comprehensive body of research material relating to the author, anthologist and translator J. M. Cohen anywhere. It will bring together Cohen’s materials – already in the possession of the twentieth-century special collection in the Old Library, Queens’ College – with other materials, currently located in private, national institutions in the UK and abroad. It will include resources such as foreign editions of his books, audio-visual materials, tape recordings from the BBC, and Cohen’s correspondence with foreign writers and publishers. Manuscripts: may include literary notebooks, diaries, radio scripts (copies lent by the BBC for example) and manuscript and typescript materials. Personal Papers: materials such as his birth certificate, passport, driving licence and family letters, identity card. Correspondence: The Cohen collection holds original letters by Cohen. It will include letters in the possession of Cohen’s correspondents held in other collections in UK and abroad. The correspondents include a great number of European, Latin American intellectuals and writers, many of them Nobel laureates in Literature such as Gabriela Mistral (1945), Pablo Neruda (1971), Vicente Aleixandre (1977), Gabriel García Márquez (1982), Octavio Paz (1990), among many others. Original background material: This section may contain material from other sources, which shed light on some aspect of Cohen’s life. It may include papers relating to the various organisations with which Cohen was linked, letters about Cohen (both contemporary and posthumous) and a collection of personal reminiscences and interviews with people who knew Cohen. Articles and Reviews by/on Cohen: A collection of Cohen’s known published articles and all major articles on Cohen and his writings; the creation of a numbered list and author index for this, classified according to the specific work by Cohen or aspect of his life. Printed Books: There is a classified catalogue for this section, which includes those volumes in the Cohen collection – Old Library, Queens’ College, Cambridge – which are traceable on the library’s on-line catalogue system. New additions will be foreign publications and translations of Cohen’s works and critical and background books. Audio–visual materials: Radio recordings, video tapes of film and television productions, if it is possible accompanied by scripts. The creation of a classified card index for this section. Photographs by Lotte Meitner-Graf and those held in other institutions such as the National Portrait Gallery in London and the Casa de las Américas in Havana, for example). See also “J. M. Cohen, Gifted translator of foreign prose classics” (Obituary), The Times (London), 22 July 1989. “Obituary of JM Cohen: An opener of closed books” (Obituary), by M.C. and W.L.W., The Guardian (London), 20 July 1989. This entry was posted in 20th century, latin american literature, translation on 13/07/2015 by ACLAIIR. This post is republished with the kind permission of Senate House Library. View the original post here. First impressions can deceive. A Spanish book recently came to light in the BOLSA (Bank of London and South America) collection which initally looked dusty and ordinary, but soon turned out to be intriguing. Its author was born in Cusco (Peru) in 1539, and was one of the earliest Hispanic American intellectuals recognised on both sides of the Atlantic. His real name was Gómez Suárez de Figueroa, son of the Spanish conquistador Sebastian Garcilaso de la Vega and an Inca princess, Isabel Suarez Chimpu Ocllo, who was the granddaughter of Inca Túpac Yupanqui, and niece of Inca Huayna Capac. Because his father had a privileged position, he later inherited his father’s name to become known as Inca Garcilaso de la Vega – despite the fact that the law stipulated that noble Spaniards should only marry Spanish women. Sebastian did in fact marry a Spanish woman – but he made a provision in his will for his illegitimate son to be educated in Spain. 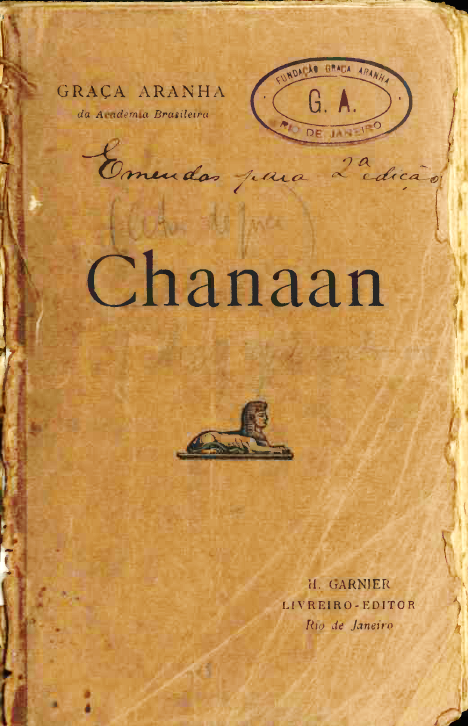 During his childhood, Inca Garcilaso de la Vega’s education took in both his Spanish and Inca heritage, a mix which is reflected in his writing. His best-known work was Comentarios Reales de los Incas, where he describes the history, culture and traditions related by his Inca relatives during his childhood. The first part was initially published in Lisbon in 1609. Considered seditious and dangerous, it was banned in the American colonies as of 1781, following the rebellion led by Túpac Amaru II against the Spanish in Peru in 1780. However, it continued to be published in Spain. The second part of the Comentarios Reales covers the history of Peru from the arrival of the Spaniards in 1531 to the execution of Túpac Amaru I in 1572, and sets out to justify the Spanish conquest. The work was finished in about 1613. The printing process took longer than expected and three years later, on 22 April 1616, Inca Garcilaso de la Vega passed away. 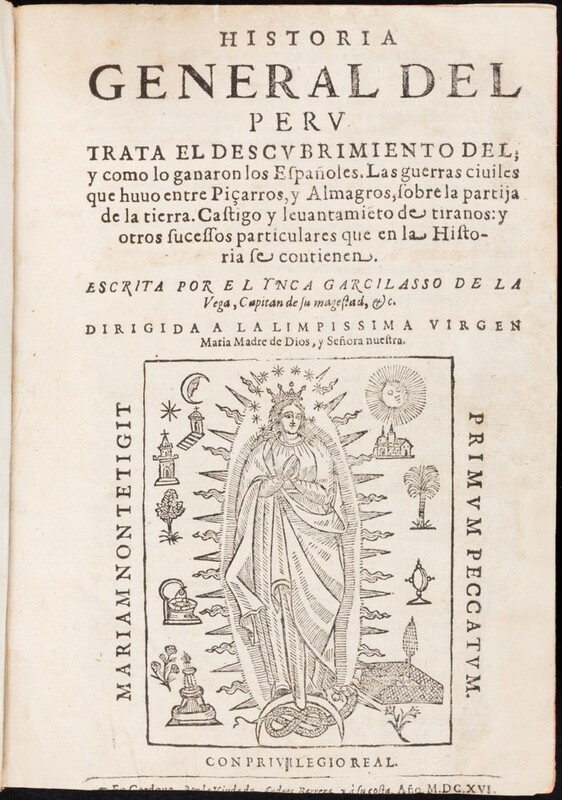 The work was posthumously published in 1617 under another title, Historia General del Peru. According to some versions the change in title came from the authorities in Madrid, according to others, from the publisher, who did not think the original title very inspiring. In itself, even the 1617 imprint is not common; Copac lists six copies in Great Britain from that year. The Senate House Library copy is one of very few with an earlier date of 1616 in the imprint. Of the six copies dated 1616 that we have so far located around the world, only one, at the Complutense University of Madrid, has the same title page as ours – a rare and valuable book indeed. En la colección Bolsa (Bank of London and South America), salió a la luz un libro en castellano. La primera impresión era que no pasaba de ser otro libro más, probablemente con cierto nivel de información a la vez que polvoriento y sin representar un interés particular. Sin embargo primeras impresiones pueden dar lugar a equívocos. Apenas apareció la portada con su título quedó demostrado que se trataba de una publicación antigua, con el agregado de que el autor que allí figura fue uno de los primeros mestizos de Hispanoamérica que fue reconocido por sus atributos intelectuales y literarios en ambas orillas del Atlántico. Su nombre de bautizo fue Gómez Suárez de Figueroa y la historia lo recuerda como el Inca Garcilaso de la Vega, hijo de un conquistador español, Sebastián Garcilaso de la Vega, y de una princesa incaica – Isabel Suárez Chimpu Ocllo – quien era nieta del Inca Tupac Yupanqui y sobrina del Inca Huayna Capac. Gracias a la privilegiada posición de su padre, más tarde pudo llevar su apellido, a pesar del hecho de que la ley estipulaba que los nobles españoles debian casarse con mujeres españolas (y de hecho, él se casó con una peninsular). Sin embargo, al morir, dejo previsto que su hijo fuese educado en España. Durante su niñez, el Inca Garcilaso de la Vega, tuvo una educación donde se mezcló lo hispánico con lo indígena y esa particular cosmovisión fue reflejada en su vida y en sus trabajos. Su obra cumbre fue Comentarios Reales de los Incas, donde describe la historia, cultura y tradiciones que sus parientes indígenas le transmitieron durante su infancia a través de relatos e historias familiares. La primera edición de lo que se convertiría en la primer parte de este título fue publicada en Lisboa en 1609. Cabe mencionar que después de la rebelión encabezada por Tupac Amaru, el libro fue prohibido de publicarse en las colonias americanas, porque se consideró que podía usarse para incitar sediciones y por lo tanto, muy peligroso. Sin embargo la prohibición no fue aplicada a la península Ibérica. La segunda parte la finalizó, aproximadamente, en 1613. Pero su publicación se demoró mucho más de lo esperado y 3 años más tarde, el 22 de abril de 1616 el Inca Garcilaso moría en Córdoba, España. El libro terminó siendo publicado en 1617 con otro título “Historia General del Perú …” Algunas versiones afirman que el cambio fue decidido por las autoridades de Madrid, otras que lo decidieron en la casa editora porque se entendió que el original no era atractivo. Hasta aqui, la copia que es actualmente preservada en Special Collections podría ser considerada como una pieza valiosa de la primera edición. Sin embargo, esta copia en particular tiene un agregado que la hace aún más peculiar, la fecha es de 1616. Ya la edición de 1617 no es muy común. Haciendo una búsqueda en los catálogos online de algunas de las mayores bibliotecas de Europa, Sudamérica y Estados Unidos, en muy pocas de ellas apareció este título con el año mencionado. En COPAC solo se ha podido encontrar 6 ejemplares con esa fecha en toda Gran Bretaña. Del año 1616 otros 6 más, pero a nivel mundial. De los cuales solo uno tiene la portada similar, en la Universidad Complutense de Madrid. 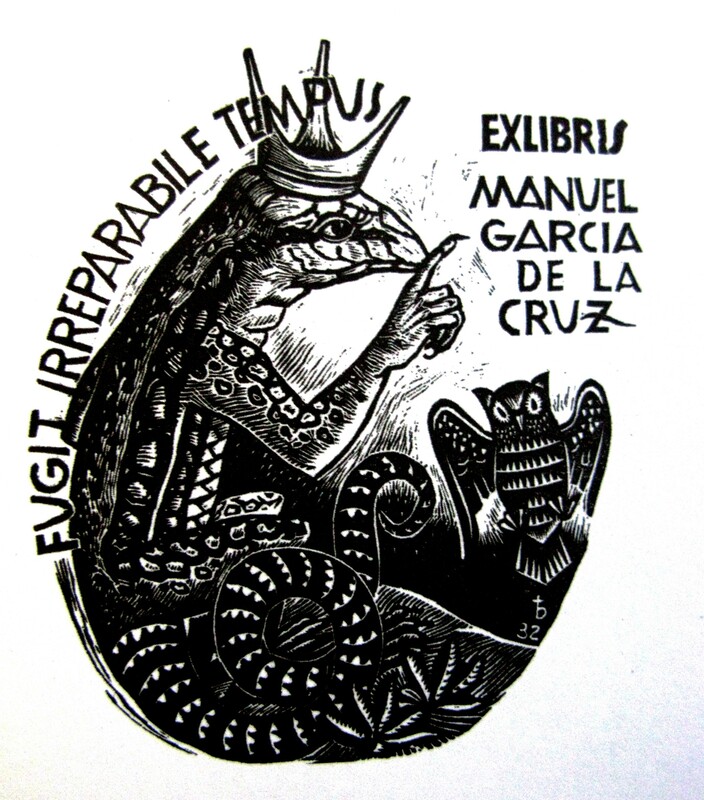 A pesar de que es un tema no concluído, se puede afirmar, que este ejemplar es una valiosa y extraordinaria adición al patrimonio de la biblioteca. This entry was posted in 17th century, hispanic literature, indigenous cultures, latin american history on 02/07/2015 by ACLAIIR.